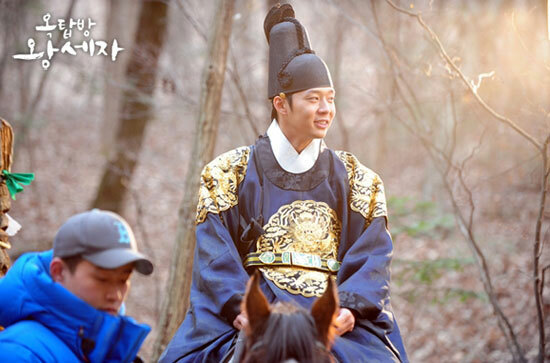 SBS Wednesday and Thursday drama series Rooftop Prince published and joyous behind the scene photos. On March 28th, 2012, the behind the scenes photos from the set of Rooftop Prince published by SBS revealed the main cast members of Rooftop Prince, including Park Yoochun, Han Ji Min and Jung Yoo Mi, laughed a hearty laugh. During this period, the actors starring in Rooftop Prince have said the words such as “Can’t stopped laughing during filming,” and the published photos confirm the words. 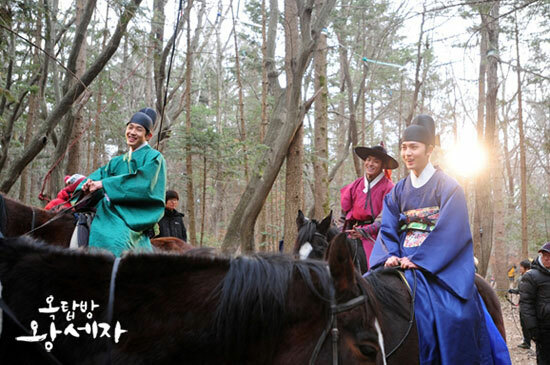 A staff crew said that the atmosphere on the scene of Rooftop Prince is indeed the best. The theme of the drama itself is romantic comedy, and the atmosphere of the actors is very good, so it leads naturally to a comedy. After broadcasting, the trust between each other is strengthening, so even during the difficult shooting schedule, the filming can be done pleasantly. Meanwhile, crown prince Lee Gak (Park Yoochun) encounters the photo of Yong Tae Yong who looks exactly like him, and later he meets with grandmother of Yong Tae Yong, heightening the tension.